a perfect puzzle for the youngest children. colour in the picture in your favourite colours. cut out the puzzle into 3 pieces. give the puzzle to someone who enjoys doing puzzles. this small car is driving down the street. colour in the picture and cut out the puzzle along the lines into 20 pieces. your puzzle is now ready to enjoy. in the autumn there are leaves falling from the trees. the street sweeper has a lot of work to do. 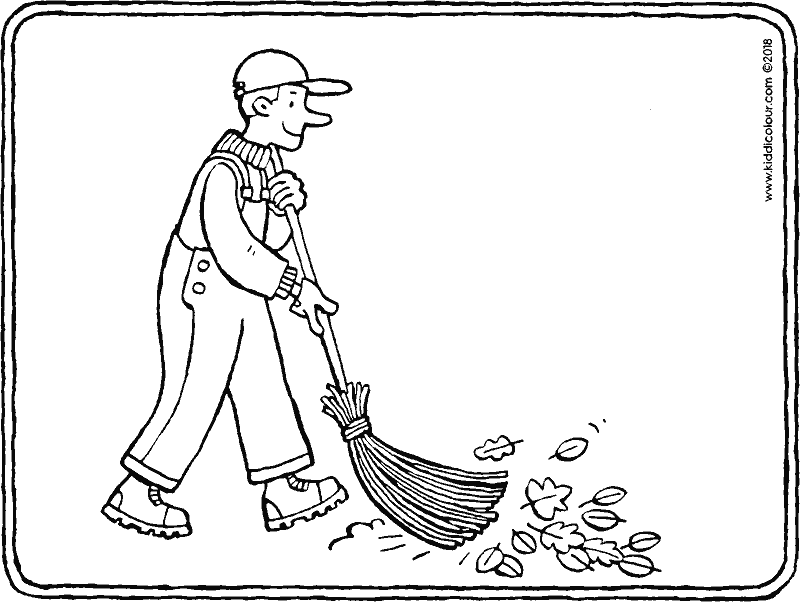 he sweeps and sweeps until they are all gone. whoosh!… the wind blows and brings new leaves. the street sweeper starts sweeping again. 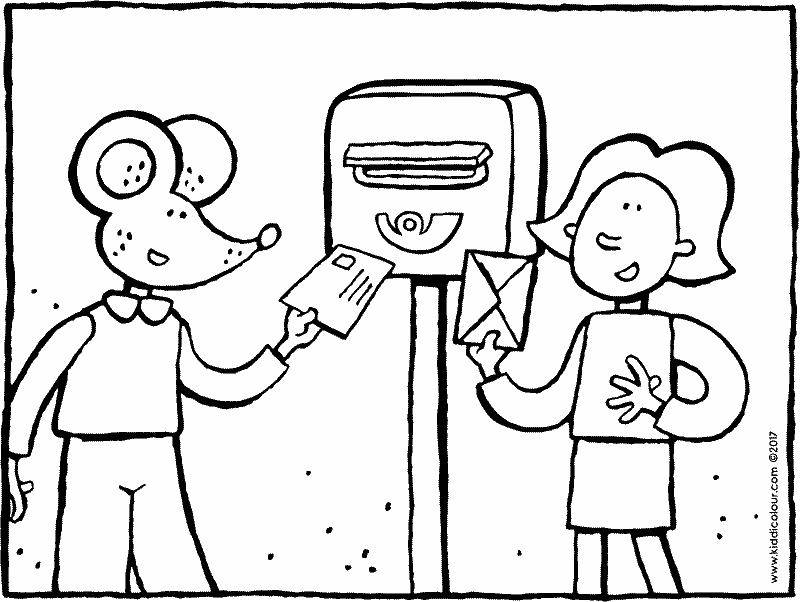 give the colouring page to someone you meet on the street. it’s this skeleton’s birthday today. the ‘hip hip hurrah’ is making all the skeleton’s bones rattle. who wants to join in the party? 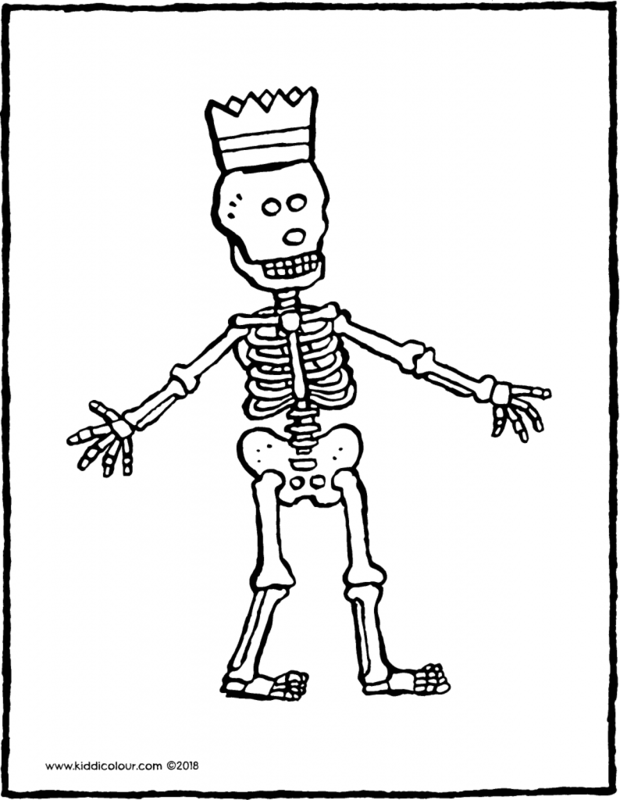 give the colouring page to someone who’s dressed up as a skeleton. you’re sure to have seen one of these in your street. 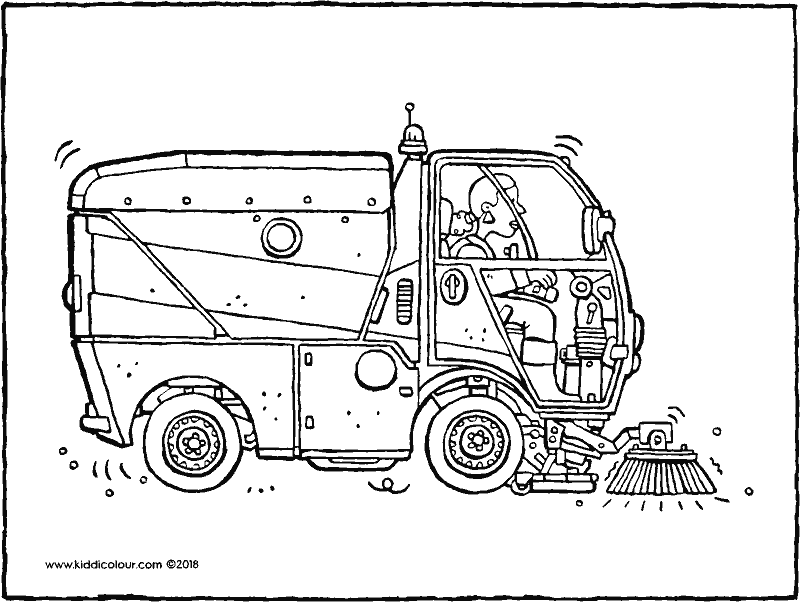 a road sweeper that makes the streets nice and clean. who would like to have a ride on one? or would you rather have a ride on a fire engine? colour in the picture using your favourite colours. 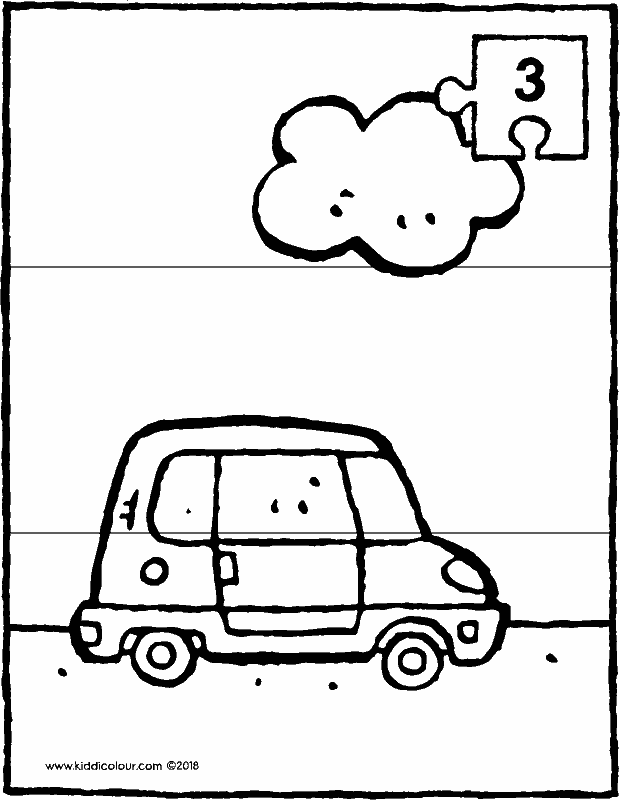 the car is driving through the landscape. is it going on holiday? or is it driving to school? 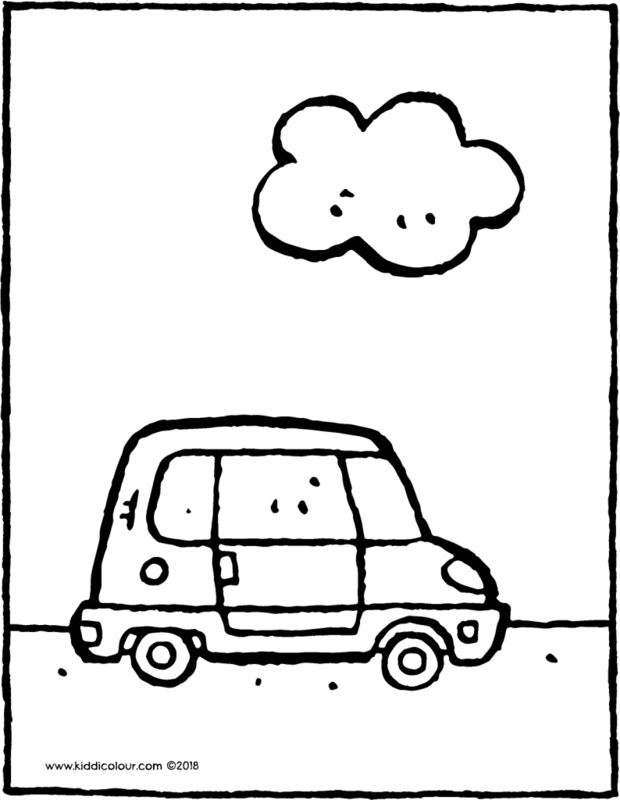 a small car is driving along. there’s a cloud in the sky. 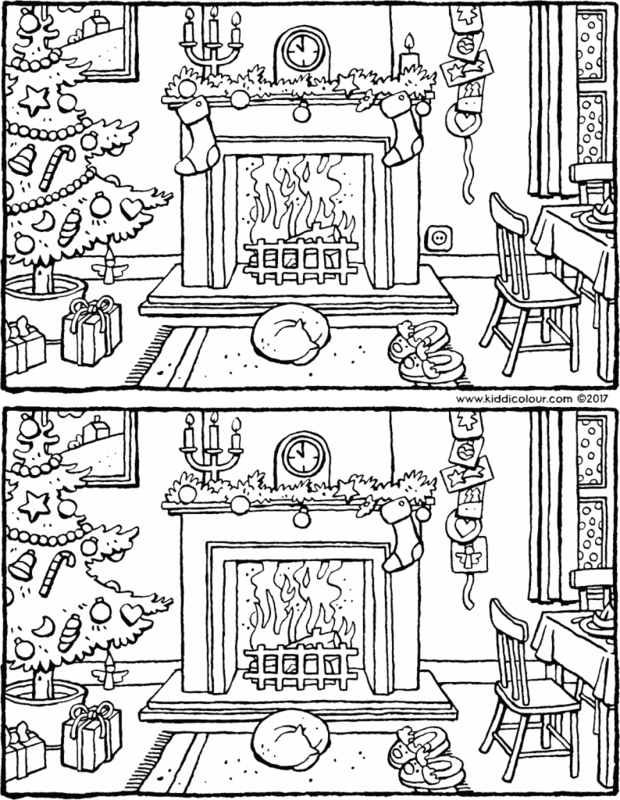 hang the colouring page beside your bed. 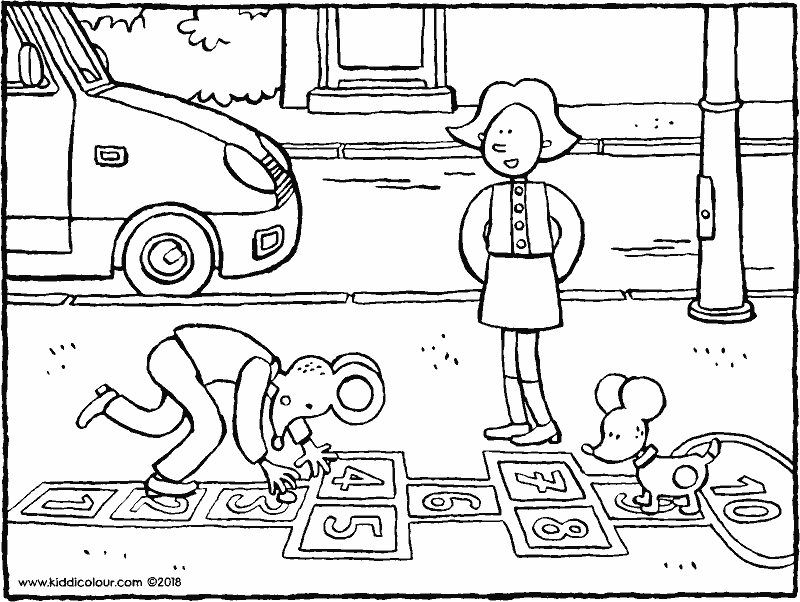 Emma and Thomas are playing hopscotch on the pavement. Thomas has thrown his stone onto number 3.
he hops on one leg to number 1 and then 2 and carefully picks up the stone. he continues to numbers 4 and 5 and so on towards 10.
a great game that your granny and grandpa also played when they were young. stand on one leg and give the picture to your granny or grandpa. 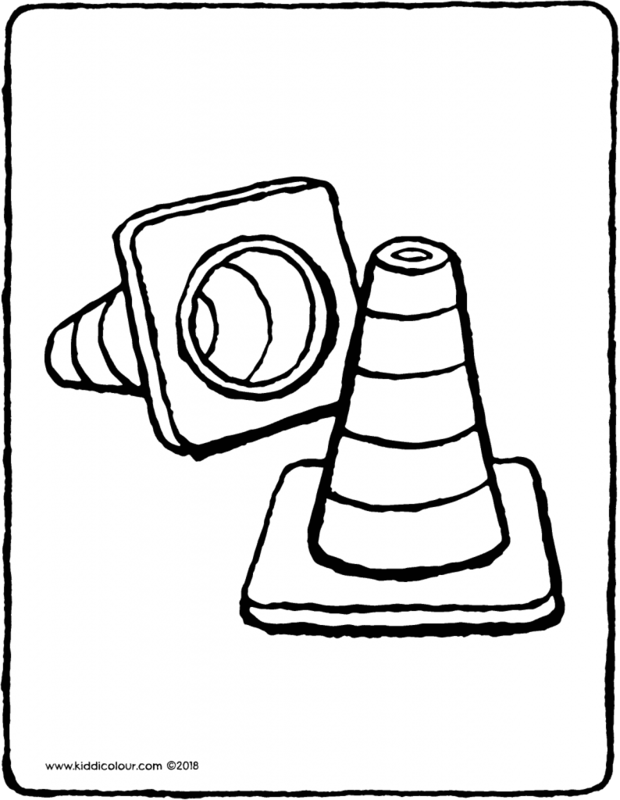 you sometimes see traffic cones on a cycle lane, pavement or on the road. it means you need to watch out. perhaps you’re not allowed through because there are roadworks. then you have to cross the road. or there might be a removal van parked in front of a house. if you see one of those, ask if you can lend a hand. colour this picture in pretty colours. give the drawing to someone you love. colour the ice cream van in yummy colours. cut out the ice cream van and the ice cream cone around the edges. 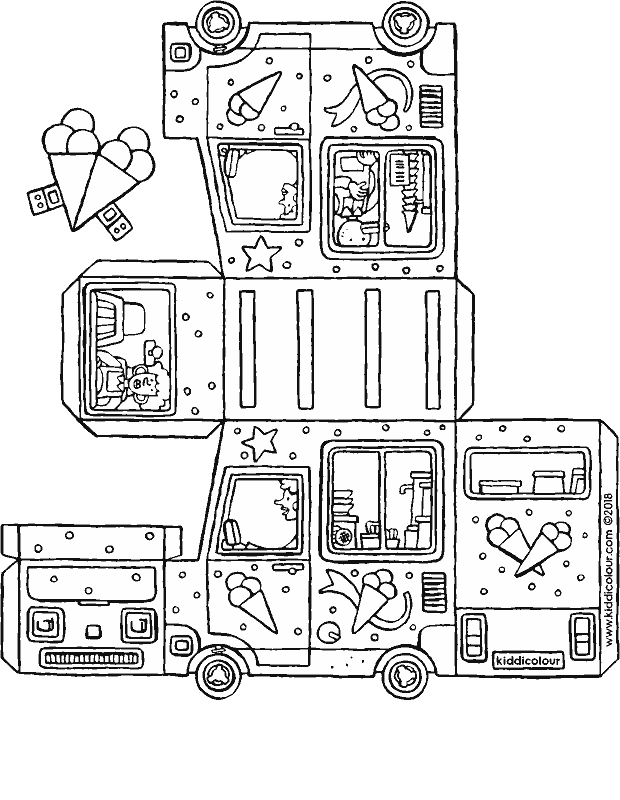 fold to make an ice cream van and glue everything together. fold the ice cream cone and glue it above the windscreen. say ‘ting-a-ling’ and drive the ice cream van all around the house. vroom… there’s a taxi driving down the street. Emma and Thomas are sitting in the taxi. they are sitting in the back of the taxi. have you ever been in a taxi? 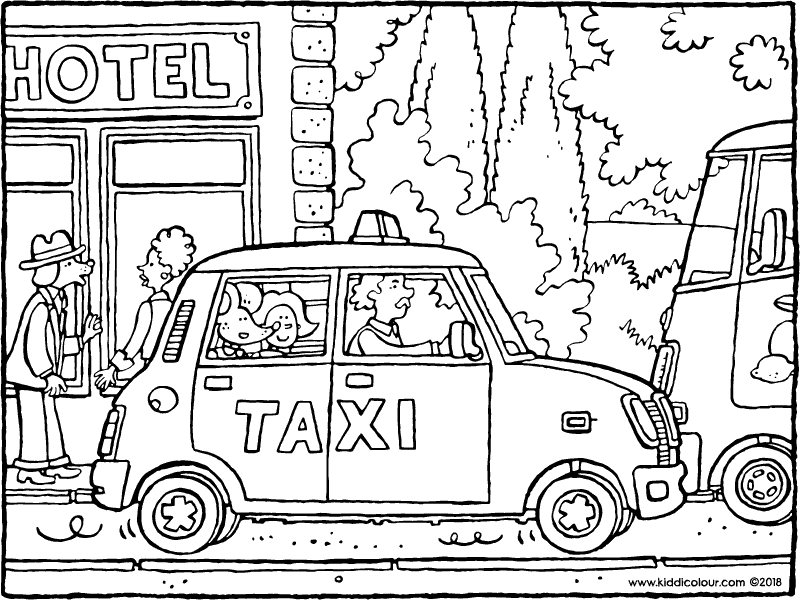 what colour was the taxi? was the taxi driver a woman or a man? colour in this picture with bright colours.